As I prepare for my August Omega workshop Sacred Plants: Touching the Jaguar and trips that I guide where participants learn from indigenous shamans in Latin America, I think about the messages that nature and the immigrants attempting to enter the US and Europe offer. Corruption and brutality in other countries, climate change, gangs, cartels, etc. trigger immigration. Who uses fossil fuels, aluminum, plastics, sweat-shop made clothes, and food? Who does the corrupting, supports brutality, causes climate change and drug use? We look for band-aides to stop the bleeding; we turn a blind eye on the virus that opens the lesions. The fact is that most environmental degradation is the result of predatory capitalism. Most immigrants are people who are miserable, desperate, and fearful for their lives. Our hearts break to see children separated from their families at the US-Mexican border. It is time to ask ourselves what we can do to stop people from feeling a desperate need to flee to the US from Honduras, El Salvador, Guatemala, and Mexico and to Europe from parts of Africa and the Middle East. Answering the tough questions is essential because if we can’t cure the disease that is destroying the world environment and forcing people to leave their homes, all our children will face crises that dwarf those of today. I spend time in Central America. I speak Spanish. I used to be an economic hit man (EHM) whose job was to corrupt government officials so our corporations could exploit natural and human resources. I see that what has happened in Central America during my lifetime is a microcosm for much of the world. Predatory capitalism, global corporations, and US government agencies have used the stick and carrot–– EHM methods–– to coerce governments to promote economic systems that enrich the wealthy and drive the Poor and what used to be the Middle Class deeper and deeper into poverty. The Titans of industrial agriculture and infrastructure projects, and the retailers of sporting goods, clothing, and other sweatshop-oriented industries have ravaged and chemicalized lands that once supported thousands of small farmers. At the same time, they’ve created working conditions akin to slavery. What motivates young people to join gangs or become terrorists? What drives the businesses that are ransacking the environment? Who benefits from political instability and warfare? It is the perfect time to ask such questions because there is a new consciousness rising in the world. People are waking up to the fact that we live on a fragile space station. The problems in Central America and other parts of the world that are behind the waves of immigrants and those that ravage our ecosystems are symptoms of the virus that has infected the navigational system of our space station. It’s time to reboot that navigational system. The answers to those essential questions involve the stories behind the official stories. I’ve told some of those stories in my books. 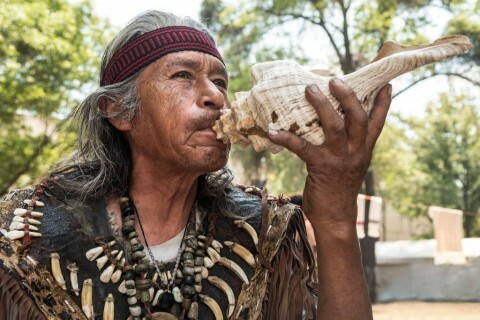 Indigenous shamans and the plants themselves are working hard to open our hearts and minds to new realities. During upcoming workshops and trips to Latin America, we will explore these questions in depth and tune in to the new consciousness that is evolving through the wisdom of ancient cultures and the plants. You and I are fortunate to be living in this extraordinary time of great challenges and amazing opportunities. Let us look at each of the problems we face as a message that it is time to transform a failing economic system into one that is itself a renewable resource. When we come together, we can solve seemingly insurmountable problems. We recently celebrated Independence Day. The American Revolution. Let it inspire us to feel our connection to the growing community that sees through the veil of false rhetoric and is dedicated to transforming destructive patterns into positive ones. Let it inspire you to participate in the Consciousness Revolution. Commit to action. An easy, inspiring, and fun way to do this is to join me and other like-minded people here. As Chief Economist at a major international consulting firm, John Perkins advised the World Bank, United Nations, IMF, U.S. Treasury Department, Fortune 500 corporations, and leaders of countries in Africa, Asia, Latin America, and the Middle East. The New Confessions of an Economic Hit Man (2016), a follow-up to John’s classic New York Times bestseller, brings the story of economic hit men and jackal assassins up to date and chillingly home to the U.S. It goes on to provide practical strategies to transform the failing global death economy into a regenerative life economy. The first edition of Confessions Of An Economic Hit Man spent 73 weeks on the New York Times non-fiction bestseller list and has been translated into 32 languages. It, along with his other books, The Secret History of the American Empire (also a New York Times bestseller) and Hoodwinked, were ground-breaking exposés of the clandestine operations that created the current global crises; they set the stage for the revelations and strategies detailed in The New Confessions of an Economic Hit Man. 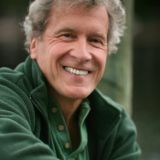 John is a founder and board member of Dream Change and The Pachamama Alliance, non-profit organizations devoted to establishing a world future generations will want to inherit, has lectured at Harvard, Oxford, and more than 50 other universities around the world, and is the author of books on indigenous cultures and transformation, including Shapeshifting, The World Is As You Dream It, Psychonavigation, Spirit Of The Shuar, and The Stress-Free Habit. He has been featured on ABC, NBC, CNN, CNBC, NPR, A&E, the History Channel, Time, The New York Times, The Washington Post, Cosmopolitan, Elle, Der Spiegel, and many other publications, as well as in numerous documentaries including The End Of Poverty, Zeitgeist Addendum, and Apology Of An Economic Hit Man. He was awarded the Lennon Ono Grant for Peace in 2012, and the Rainforest Action Network Challenging Business As Usual Award in 2006. Tuesday, 20 November 2018 This is The Moment: GAME ON!